Then the phone launched and the “Home & app drawer” option was still missing, even as a number of media outlets erroneously reported that it was available through LG’s SmartWorld app. 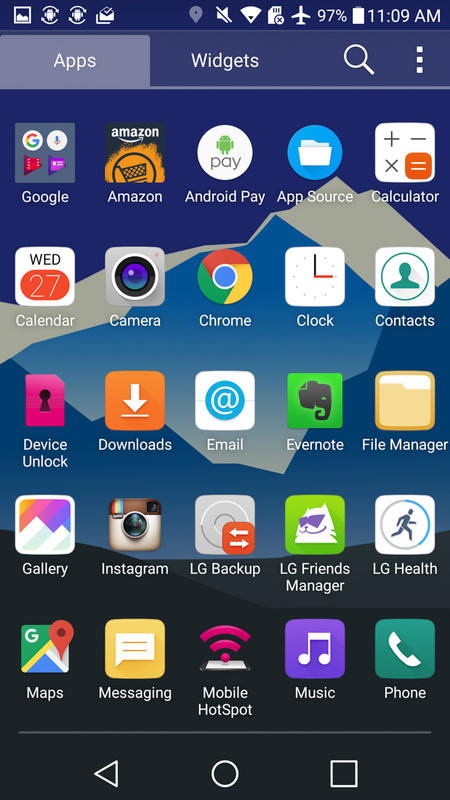 The app drawer being pointed to there was from the UX 4.0 software that was released for previous LG phones, not the G5. 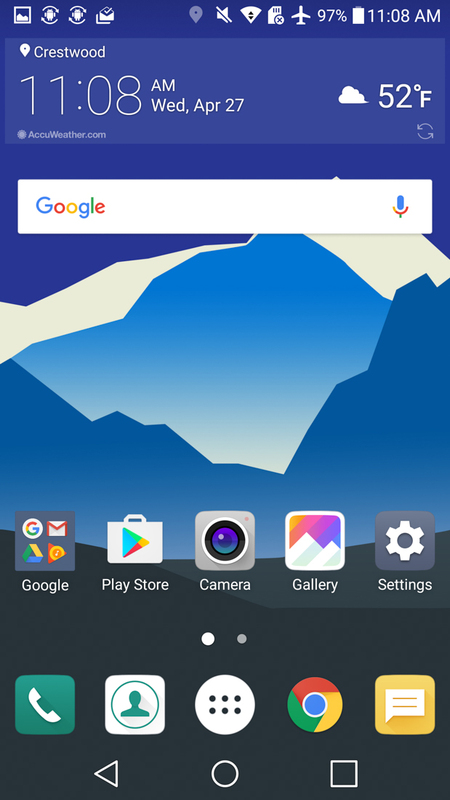 Sure, it worked and re-introduced an LG-made app drawer and home screen setup, but it wasn’t the UX 5.0 version we were promised. Today, the real update has arrived. 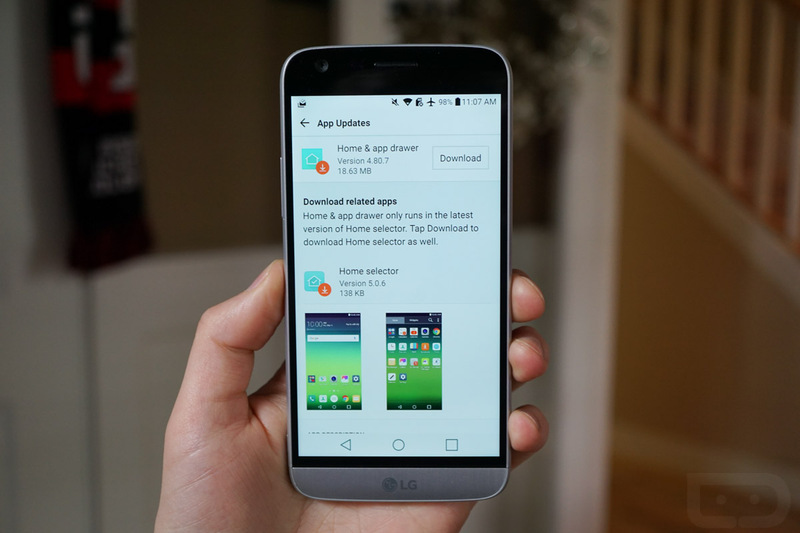 If you own an LG G5, jump into Settings>About phone>Update Center>App Updates and you may find the option available for download. At least one reader of ours saw the update on his international unlocked model, but we also found it on a T-Mobile unit. 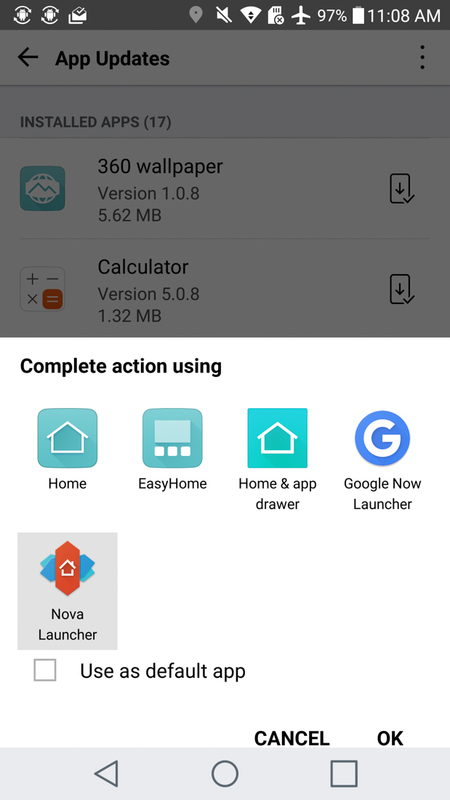 Within this App Updates screen, you should see updates for the new “Home & app drawer” along with the “Home selector,” which lets you chose this new home screen layout. 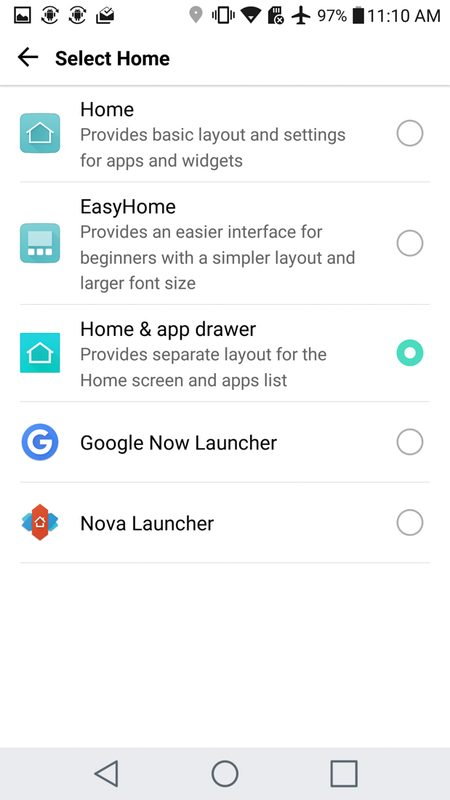 Actually, when you tap the home button on the phone after installing these, you should be prompted to choose a default home screen, including the new “Home & app drawer” option.